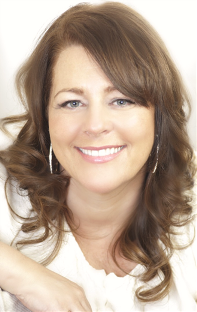 Wendy is an established and reputable psychic medium with clients throughout the world. She is a member of The American and Canadian Association of Psychics, which statistically accepts only five percent of those who apply. In addition, she has lectured at The University of Michigan, been filmed by producers in New York City reading in locations throughout the city, read for and lectured to various spiritually interested groups, read groups of hundreds at Psychic/Holistic events and has been a guest on shows such as Spooky Talk with Clyde Brown and heard on channel 95.5. She has been featured in Hollywood's Motion Picture and Television magazines, The Caster and The Power Agent, and 2396 Magazine as well as The Crazy Wisdom Journal. In addition she has spent much time investigating historically haunted places as a member of teams who enlist the help of psychic mediums. Wendy has read for a diverse group of people worldwide including celebrities, relatives of historical figures, known athletes to rockstars. She looks forward to reading for you ! Wendy, in addition to her primary office in Ann Arbor, Michigan has expanded to the Los Angeles, California area as well. To book time with her call 734-330-4709. For interview, television or radio appearance inquiries, or for film consultation on a project where accurate guidance to depict authentic psychic mediumship is needed, please call 734-330-4709.